I quite vividly remember when this lp was released. I already knew Autopsy’s first lp Severed Survival, and liked it. So it was with great enthusiasm I put this lp on my record player. I think it was my friend Morten Lose who bought it and brought it to my tiny flat in Hundegade in Ribe. So there we were, in a house built in 1588, listening to what seemed like a brand new form of death metal. I wasn’t prepared for a sound so filthy and uncompromising. The song Dead is still among my eternal favorites. The song structures are strange and twisted compared to the death metal that preceded it. This is for me still the ultimate soundtrack for a trip to the deepest pits of Hell. Dirty!! DIRTY!!!! I have lost count of (never had it, really) how many times I’ve listened to this. But it wasn’t until 2003 I got around to buy it, so I could lay my dubbed cassette to rest. At that point I bought it on cd, but hooray! Today I finally got it on lp. And it’s an absolute pleasure to listen to. I just had eye surgery, I had my lens removed in the right eye and got a shiny new artificial one. Now I see HD. It was a bad case of cataract. My friend Patrick Gresham, recommended this album as medication for the pain. And I really like it a lot. Powerful death metal, with some of the rougher vocals I’ve heard in a good while. I suggest you go have a peek at No Trust on their bandcamp (link below). I met Åsa and Martin in August 2014 at Loppen, where Martin’s other band Razorrape was playing at a noisy grind show featuring said Razorrape, Dead Instrument and my band Kusari Gama Kill. They were – and are – really nice people, and I enjoy having their presence in my facebookfeed. Gorgosaur is all about death metal in the classic vein, I can highly recommend picking up this cd as well as their demo on their bandcamp. Lurking Among Corpses will be out on lp later this year. Oh yes indeedy! This is some classic old school death metal in the vein of Scream Bloody Gore. I’m just finishing my second listen, and I’m very satisfied! Get this before it’s sold out. As for Gruesome – I suspect they’ll never sell out! I first learned of Tribulation after reading a review of their 2008 album The Horror. I bough it, and loved it. 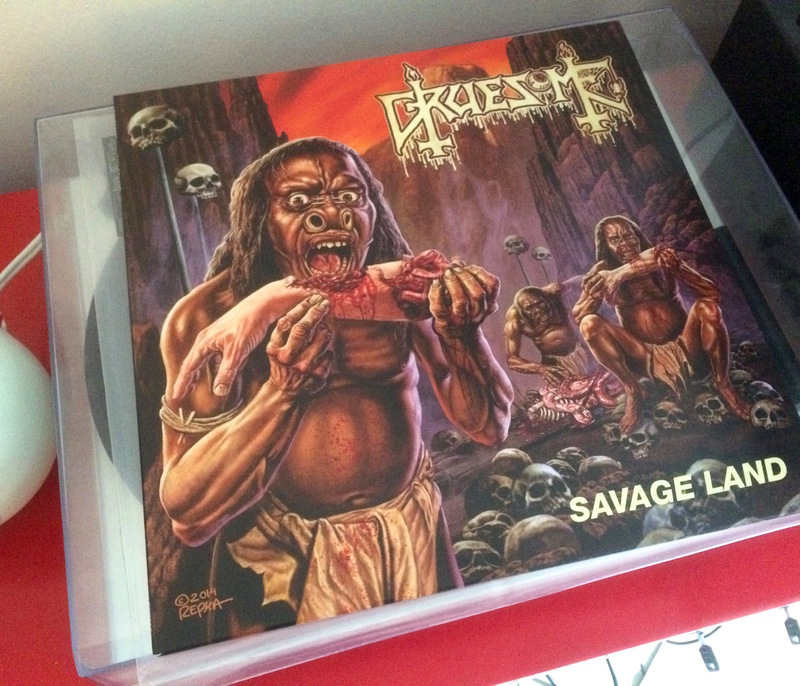 The thrashy death metal on that lp is fresh and invigorating. Listening to The Horror while writing this review, I am surprised to find that I can recognize many details in it, that reminds me of The Children Of The Night. But still, The Horror is quite straight forward. The Children of The Night is anything but straight forward. Laddies and gentlemen. We might have the beginning of the future of metal here. The Children Of The Night is a fantastic lp. I have listened to it quite a lot since its release, and haven’t really begun to fathom its depths yet. But smack my arse and call me Charlie! This is some good music, that transcends genres and rules. I taste Deep Purple, Iron Maiden, Morbid Angel, Entombed, Ulver and so many other influences. I’ll be surprised if this lp oesn’t end up on top of many a Best of 2015-list. Did I mention that it is a double vinyl with music on three sides, and a cool etching on side 4? I might return with a better review – maybe even a track by track – later. 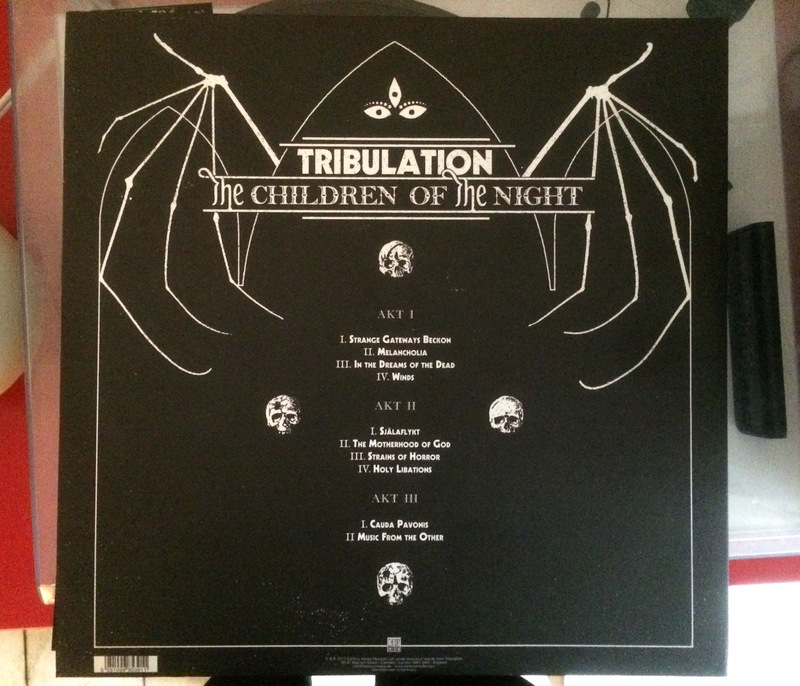 For now, I’ll just engulf my self in the musical bliss that is The Children Of The Night! Today I got this lp in my mailbox, and was somehow sent back to the late mid-1980’s. Everything on this record reeks of said period, even the classic artwork. 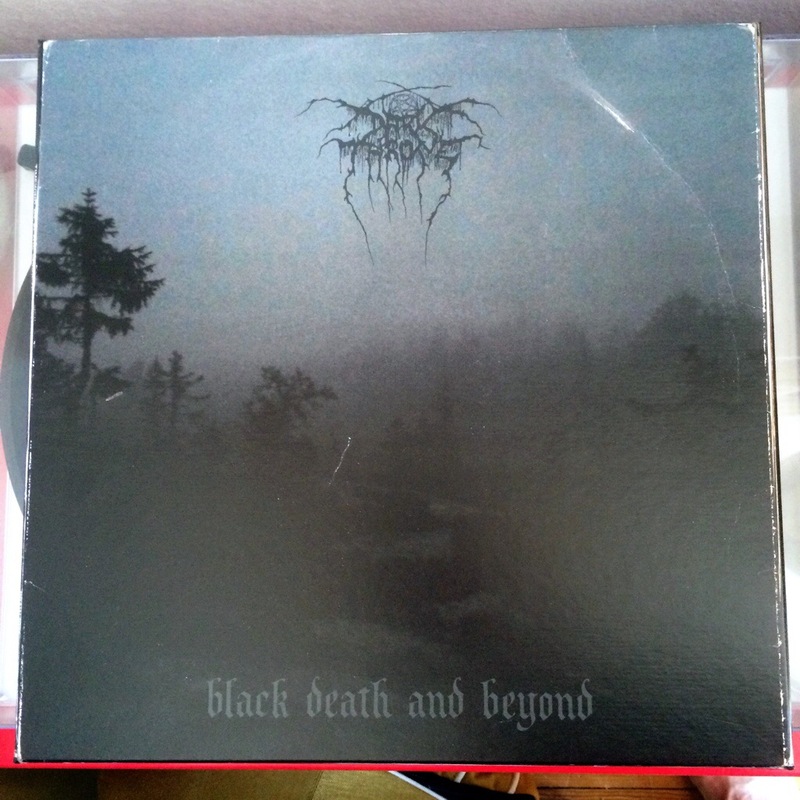 The comparison to the first couple of Death albums is easy, and I also catch a whiff of early Autopsy here. Enough said, get your hands on this soon-to-be-classic! Oh wow. I am really happy I bought this 3lp boxed monster. This is such a great collection of songs and the packaging is outstanding, Darkness Descends anyone? I can never do this box justice, so I won’t try.